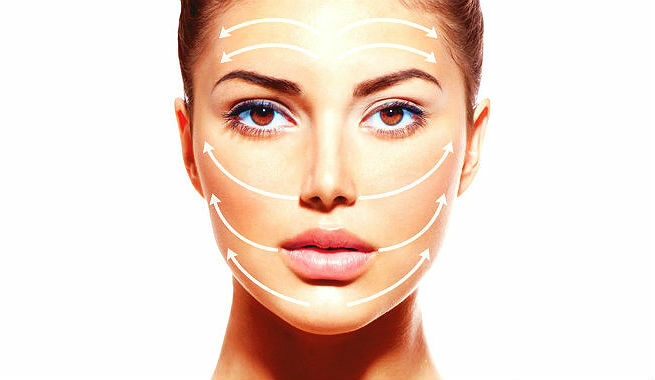 Anti-Aging Face Massage: 5 Minutes-A-Day Keeps Age Away! Start with cleansing your face with a mild herbal face wash. Remember, a clean face is essential for allowing the anti-aging product to penetrate the skin and making the massage fruitful. Make sure that it does not turn your skin too dry or too tight. Tone your face immediately with fresh rose water or a good astringent. It would tighten up the pores and make the next steps more effective. Take some oil or cream or moisturizer on your fingertips and apply all over your face and neck thoroughly. Also, apply the undereye cream around your eyes in small dots. Your hands should not be too oily to ensure a firm and effective massage. Therefore, it is important to take only a little amount of cream. Now, it is time to start your massage. The best practice tells us to massage our neck first and then go upwards gradually. Therefore, place your palms flat on your neck so that your fingers lie diagonally across it and the fingertips point in the direction of your ears. Massage the neck gently by moving the palms in a firm downward motion. While going towards your neckline, skin the thyroid area carefully. Repeat the move for 5 times on both sides. Roll all your fingers into fists and put them underneath your chin. Release both of your thumbs and place them beside the jawline so that you can support the movement of your hands. Then, slide the fists upwards in a slow yet firm motion until you reach your ears. Do it for 5 times. Now, unfold the fists by keeping the thumbs in the previous position i.e. underneath your chin. Cover your cheek areas with your palms and slide them in an upward direction to go beyond your cheekbones and reach your ears. This move is quite similar to the previous one. Repeat it for 5 times too. It is important to massage your undereye areas with your ring fingers as you might end up putting too much pressure on the delicate skin otherwise. So, look upwards to make the muscles attached to the lower eyelids a little firmer and massage the cream into the hollows under your eyes with the tips of your ring fingers. 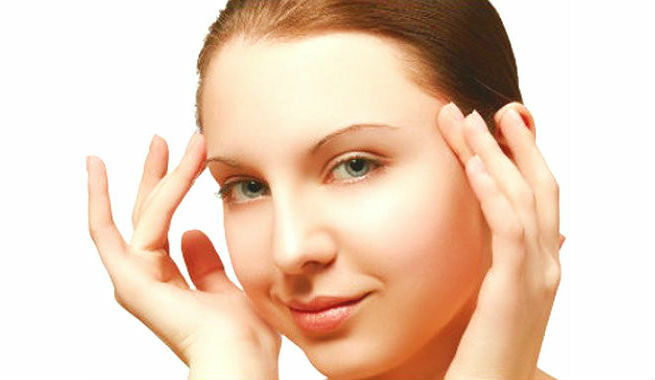 You should begin from the inner corners of your eyes and stop as you reach the outer edges of your eyebrows gradually. Be gentle while pressing the fingers against your skin and follow a circular upward motion. Repeat the movement 6 times (thrice clockwise and thrice anti-clockwise) for both eyes. Put the tips of all your fingers at the center of your forehead. There should be little to no gap in between your eyebrows and your fingertips. Now, starting from that position, massage your way up to your hairline as well as the temple areas by following small circular motion. Do it for 5 times. Place the tips of your index fingers and ring fingers right at the bridge of your nose and massage the area in between your eyebrows gently in an up-down motion. Repeat it for 5 times. Never ever massage your face and neck in a downward motion. It is a must to move your hand upwards in order to prevent sagging. While you need to massage your skin firmly and deeply, it is also vital to be gentle enough so that the skin (especially in the undereye area) is not pulled or dragged under any circumstances. The key to a successful facial massage is to apply just the right amount of pressure (neither too high nor too low) that is needed for stimulating the facial muscles. Make sure that your fingers slide across your facial skin easily while a friction and a little warmth are also generated. Pamper yourself for 5 minutes a day and you will look full of vitality for the rest of your life. Stay beautiful!